The following terms and conditions apply to all transactions on the www.wesellrsj.co.uk web site. The use of this site indicates your acceptance of these terms and conditions. The placement of an order indicates your acceptance of these terms and conditions; this does not affect any statutory rights that you may have. Please read them carefully and print a copy for future reference. All orders that you place on this Web Site will be subject to acceptance in accordance with these Terms. These Terms may be amended at any time by Wesellrsj. They may also be extended to include other conditions applicable to specific goods or services offered by Wesellrsj from time to time. It is your responsibility to read the Terms every time you place an order. Wesellrsj reserves the right in its absolute discretion at any time and without notice to remove, amend or vary the content, which appears on any page of the Web Site. This Web Site is directed towards businesses and it is assumed that each order is placed on behalf of a business. By your acceptance of these terms you confirm that you have the necessary authority to bind the business you are placing the order on behalf of. All images, descriptive matter, specifications and advertising on our site are for the sole purpose of giving an approximate description of the goods. All product specifications, images and other information published on our website have either been made accessible by suppliers, manufacturer’s, publications, publicists, or been gathered from public-domain sources. The intention of wesellrsj.co.uk is that all information on the website should be as accurate and up to date as possible. However, wesellrsj.co.uk cannot guarantee the reliability or the accuracy of the information contained within its pages. All the actions taken by the user of the website are the responsibility of the individual. The total price payable for the goods will be stipulated at the time when you place your order whether or not the order has been confirmed. We are entitled to make adjustments to the price to take account of any increase in our supplier’s prices, or the imposition of any taxes or duties, or if due to an error or omission the price published for the goods is wrong whether or not the order has been confirmed. We will inform you of the correct price and give you the opportunity to cancel the order. All prices on our website are exclusive of VAT and of delivery charges which will be payable as indicated at the time of placing your order. We accept all major credit and debit cards including Visa, Mastercard and Switch. On the order you must provide us with your exact billing address and telephone number – the address and phone number your credit card bank has on file for you. Incorrect information will cause a delay in processing your order. Your order will only be processed once authorisation of your credit card has been properly received. You may also pay by cheque or postal order although we cannot dispatch the goods until payment has been cleared. All products and services are subject to availability and may be withdrawn at any time. If we do not supply the goods for any reason we will not charge you for these and we will refund any money already paid for them. However, we will not be responsible for compensating you for any other losses you may suffer if we do not supply the goods. 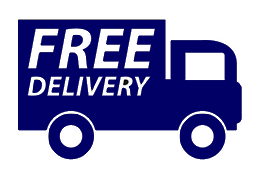 Delivery Charges All prices on our website are exclusive of delivery charges which will be added to the price of the products at our checkout. We may on occasion and at our discretion use sub contract suppliers in order to fulfil orders as per customers requirements. For your security, all deliveries must be signed for or they will not be left. Please remember to inspect the condition and quantity of your package/goods before signing for them. Claims for missing or damaged products will be rejected if they have been signed for “Received in GOOD CONDITION”. In the event that goods are returned to us because they were not signed for we will not be liable for any loss sustained by you and we will contact you to arrange payment by you of a further carriage charge before we are obliged to attempt to redeliver the items to you. As part of the service under our insurance terms we are not allowed to offload manually and we do not offer HI-AB facilities and please be aware that by confirming you understand the terms and conditions, you also understand that offloading must be carried out by the customer. You will get a final weight upon order, this will aid in you choosing the correct method of unloading. If we are unable to unload due to your insufficient offloading capacity we reserve the right to re-charge for delivery. Damage in transit: If goods arrive in a damaged condition you must make a note on the carrier’s delivery consignment note and it will be your responsibility to inform us by email to via our contact us page within 7 days from delivery. Shortages: It is your responsibility to sign for the correct number of packages as shown on the carrier’s delivery consignment note. Any shortages must be noted on the consignment note and it will be your responsibility to notify us by email via our contact us page within 7 days from delivery. In-Correct Goods: It is your responsibility to notify us of any in-correct goods within 7 days from delivery. by email via our contact us page. We will not accept liability for goods lost in transit unless we are notified within 7 days from the expected delivery date by email via our contact us page If goods returned under this clause are found to be perfect and in full working order, these will be returned to you and an administration fee of 15% of the price of the goods along with the cost of carriage will be charged to your credit card account.